The SAFE organization was happy for me to come and spend a day with Mason, a beautiful red bay Thoroughbred, out in his paddock and they were happy to tell me as much or as little as I wanted to know about this blind date we were setting up. It was a relatively kind situation for me to walk into because, while Mason showed a body full of scars that spoke to a hard life in his past, his future was bright. 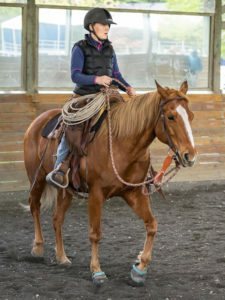 He was a horse who seemed to resist training with difficult explosions of flight when he got overwhelmed, and yet he was one of the lucky ones who had found a person who wanted him in their life regardless of his difficulties. Mason was currently living at the rescue, but would be soon moving to a new home. 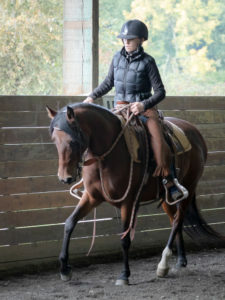 I noticed more often than not they matched each other in mirror image, opposite hooves moving in harmony like kids running a three‐legged race instead of the left foot – left foot, right foot – right foot I feel like I usually see in horse partners. I] don’t know what significance this holds if any, but I made a mental note to keep my eyes open for these kinds of situations that seemed to bring out one way of partnership versus another. 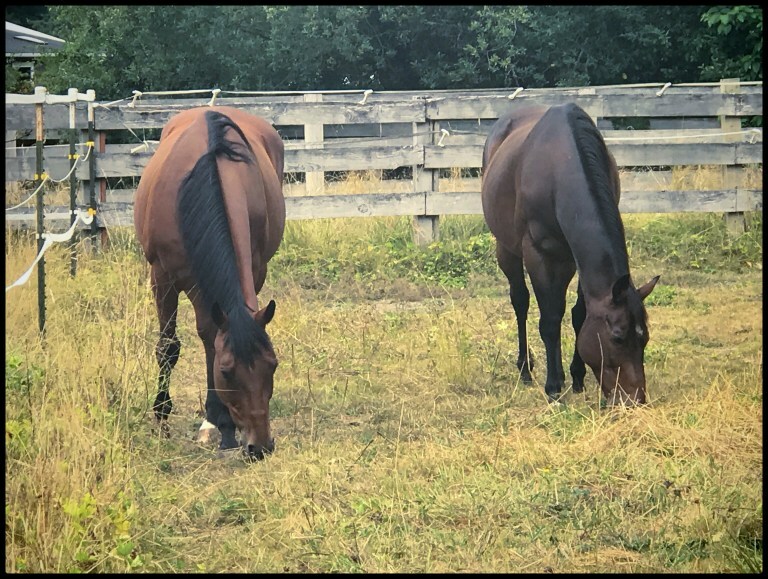 A few hours into the project, Mason was moved from the grazing pasture to the dirt lot with hay to eat and a larger group of horses to interact with. In the new space I spent an hour or so partnering at my most comfortable distance and then I decided it was time for me to experiment with my distance partnership. Now, I just need to find my partners for the Evolution project so I can put all I learned from Mason into practice in a long term experiment for the world to share with me. I want to show how Freedom Based Training® can be effective in rebuilding broken trust or building trust to begin with. Domestic or wild, untouched or abused, the concepts apply equally regardless of the horse or their history. 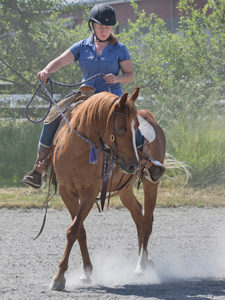 I want to show how good feel and timing and a deep well of patience can be applied to create the kind of relationship with horses we all want: collaborative, voluntary, deep, and rewarding. I just love Elsa’s work! How wonderful that she came to SAFE to be with Mason and what a gift this very helpful information will to to his new adopter ❤ Thank you Elsa and SAFE!! Wow, I love this! It is so enlightening, and I think very similar notes would be taken on Dottie. This kind of work inspires me.